Ara Darzi, professor of surgery at St Mary’s, has incredible energy. He teaches medical students, trains surgeons, publishes prolifically (782 articles on Pubmed, 931 on his home page here), and still finds time to advise governments and sit in the House of Lords. This week he contributes Undercover surgeon (click here), the story of his night shift as a porter in his own hospital, to the BMJ Christmas issue. 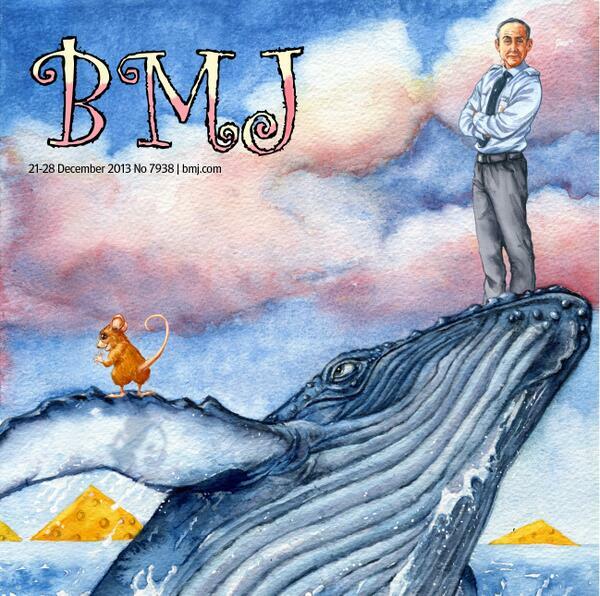 The cover features Darzi, standing on a blue whale! But it’s dreadful writing. Removing the platitudes and clichés alone would cut it by half. “It was an eventful shift and not one I will forget in a hurry.” He mangles a colleague’s joke: Ara, there’s a porter operating on your patients, and … he’s not that bad! His stories have no point. 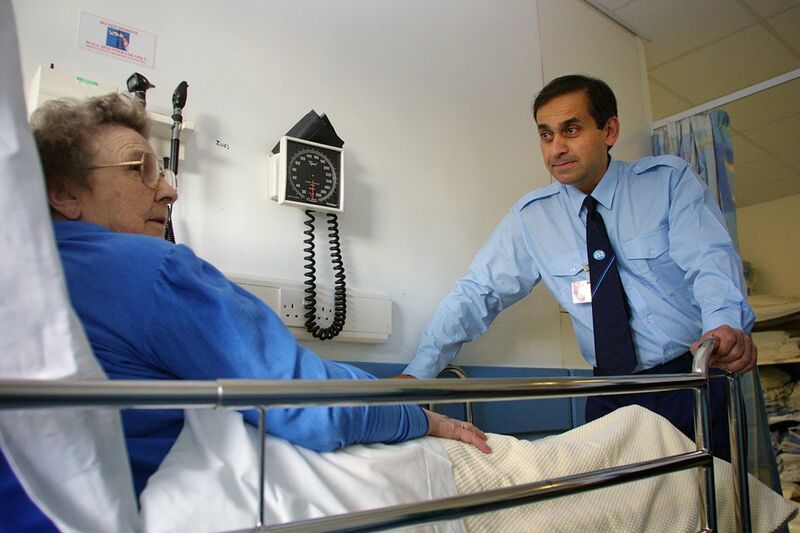 The one about being ticked of by a nurse for not warning her he was bringing a vomiting patient to the ward ends: “Throughout this quite extended telling off – and to the credit of neither of us – the patient remained unamused and feeling quite ill on the bed next to us.” He goes on: “I’m sure this example will not be new or shocking to many clinical staff, but it serves to emphasise the unintended yet detrimental effect on patients and their experiences that failed teamwork and interdisciplinary conflict can have.” Did he deliver his copy too late for sub-editing, or did no-one have the nerve to correct him? But one story shines through – the surgeon as hero. Darzi takes all his ticking’s off in good part, runs the samples for a patient with internal bleeding to the lab, and finally knocks off at 3 am. At six he’s woken and called in to operate on the very patient whose tubes he had deposited earlier! Did he do the stunt when he was already on call? Who cares? Even Lord Darzi, who runs a large department, does more research than six normal professors, and advises prime ministers, still gets called from his bed at weekends. Thank heavens he can’t write.